Can a Nintendo Wii Be Considered Homework and Does It Improve Performance on a Surgical Simulator? Background: Computer based simulators are increasingly being used to assist trainees in the acquisition and development of surgically relevant psychomotor skills. Work hour restrictions and other educational demands have made achieving adequate practice on these simulators challenging ,and others suggest that experience playing video games translates into improved performance on surgical simulators. 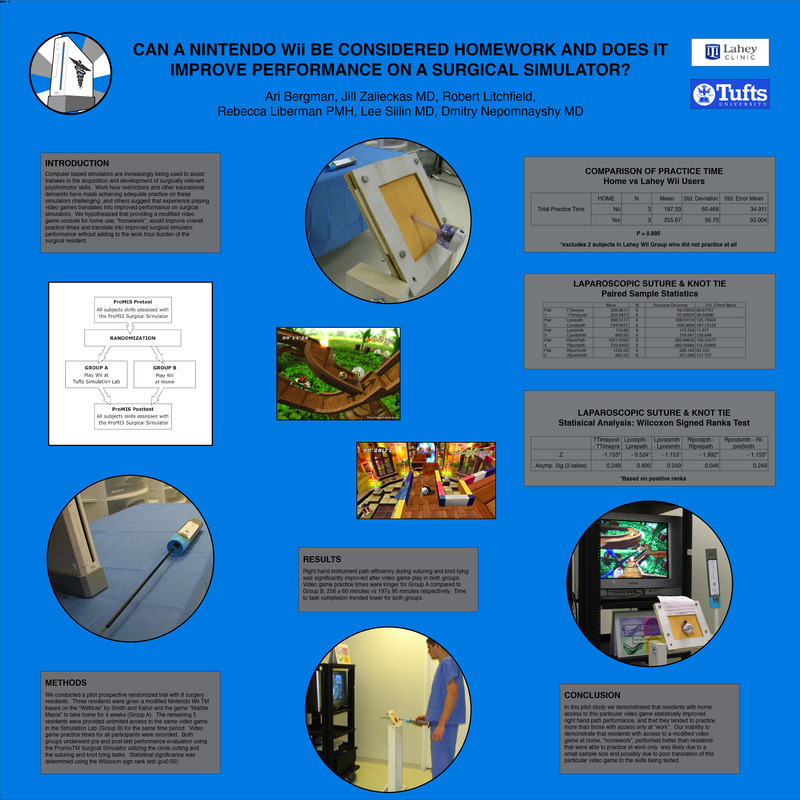 We hypothesized that providing a modified video game console for home use, “homework”, would improve overall practice times and translate into improved surgical simulator performance without adding to the work hour burden of the surgical resident.